How reliable is the U.S. nuclear triad? A deactivated Titan II nuclear ICMB in a silo at the Titan Missile Museum on May 12, 2015, in Green Valley, Arizona. In a word: reliable. I’m trying to be rigorous to the black-and-white meaning of the word without employing needless adverbs. Either something is reliable or it isn’t. There is nothing more reliable than the American nuclear triad. The most powerful arm of the U.S. nuclear triad (indeed, that of Britain and France as well) is that of the ballistic missile submarine. The U.S. employs 14 nuclear ballistic submarines (the French and British four each; the Brits use the same nukes as the U.S.). In each Ohio-class submarine, there are 24 UGM-133 Trident II (some do still carry Trident I’s) submarine-launched ballistic missiles. Each of these can be MIRV’d with many nuclear warheads—assume the most conservative at eight, a credit to START I. The warheads can be a variant of either the newer W88 (of which most are) or the older and larger W76. The W76 has 100 kt of explosive power, or five times Nagasaki. The W88 has 475 kt, or 24 times Nagasaki. That’s a lot. The U.S. has, right now, deployed half of the 14 (which doesn’t prevent the ones at port from launching, though if they’re undergoing maintenance, it’s unlikely they could). Fourteen submarines multiplied by 24 nuclear missiles is 336. Each of those missiles is likely to carry the full compliment of eight MIRVs (multiple independently targetable re-entry vehicles), which the U.S. wisely seeks to reduce to three, if I recall correctly. That’s a total nuclear strike capacity of 2,688. Even if 90 percent of them fail to reach their targets—an almost fantastically outrageous estimate; the U.S. nuclear missiles are the most modern and generally can graciously be expected to have no more than a 10 percent dud rate, and even that’s crazy—then 269 cities could independently be neutralized. A nation like China or Russia doesn’t even have that many major metropolitan areas. But given how these things work, the point of the MIRV is to independently strike a city multiple times. This means that most cities over a million would be struck five to 20 times, ensuring total annihilation. There is no combination of navies on Earth, even if all of them unified (including the U.S.’s close allies) that could neutralize them before launch. We haven’t even touched on the land-based intercontinental ballistic missiles or the U.S. Air Force–launched cruise missiles or gravity-assist bombs. The U.S.’s second “deterrent” is the ICBM LGM-30 Minuteman. There are 450 of them based inside the U.S. They all currently carry the W62, 170 kt nuclear warhead, about eight and a half times Nagasaki. These are clearly less destructive in agregate than what the U.S. Navy has. They aren’t a “first strike” force but rather a last-resort weapon to ensure that if the Navy and Air Force fail to deter an enemy, then that enemy would be totally annihilated. There are unlikely many places in Russia that get more than a few of these each pointed at it. The 10 major cities likely have a few each, then the rest are likely aimed at targets throughout Russia. 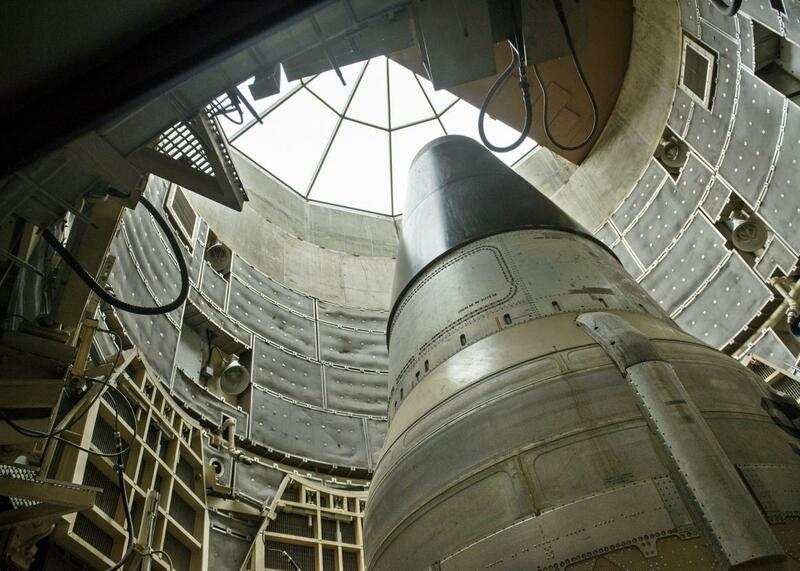 The last and most nimble portion of the U.S.’s nuclear arsenal is the Air Force. The Air Force currently employs 3,000 B61 air-drop atomic bombs with a total yield of 340 kt, about 17 times Nagasaki, that can be delivered by high-speed aircraft. There are sufficient B61s in Europe through the U.S.’s nuclear-sharing agreement (a classified number between 150 and 250) that any nation in Europe could be struck rather quickly. The Air Force also employs 600 B83 gravity bombs with a total maximum yield of 1.2 mt, or 60 times Nagasaki. It’s the largest bomb in the U.S. arsenal and is kept on hand to ensure that any bunker could be collapsed and its inhabitants neutralized. It’s physically larger but still able to be mounted on bombers as well as fighters. These are not (at least not said to be) maintained in Europe. International relations: Is Russia powerful enough to punish Turkey? The United States of America: Do most Americans realize that it is not normal in any country in the world, to have mass shootings and multiple gun murders almost every single day of the year, or do they think this is normal? Nuclear weapons: Why is nuclear war treated as an apocalypse scenario when over 500 atmospheric nuclear bombs have been detonated with no effect?